This entry was posted in crime, Donald Trump, Honduras-Guatemala 'caravan' invasion, illegal immigration, Liberals/Democrats/Left, Military, United States, US Presidents and tagged Defense Secretary James Mattis, General John F. Kelly, Tijuana Mayor Juan Manuel Gastelum, U.S. District Judge Jon Tigar. Bookmark the permalink. I approve POTUS closing the border to the invading caravans. Mexico should have stopped them at the border with Guatemala, now it is Mexico’s problem not ours. 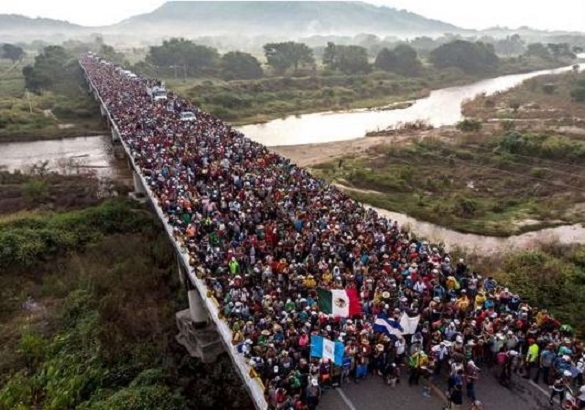 I said before there is going to be a stampede of people unable to be controlled, many will die trampled, and the world should BLAME Mexico for the carnage, it will be a monumental disaster. POTUS MUST CLOSE ALL ENTRIES and force must be applied when necessary, they will be violating our sovereignty and we must defend our country from invasion. THERE IS ONLY ONE FLAG, THE STAR SPANGLE BANNER, take you and your flag back where you belong, you are not wanted here! Close the border and use lethal force? No more threats, President Trump! Close down the entire border. Nobody sets foot on U.S. soil. And close down the government and stop congressional paychecks if they don’t cough up the full wall funding and abolish the visa lottery, chain migration and anchor baby nonsense. Now the Mexicans know how WE feel…..GET THE ILLEGALS OUT OF THE US! 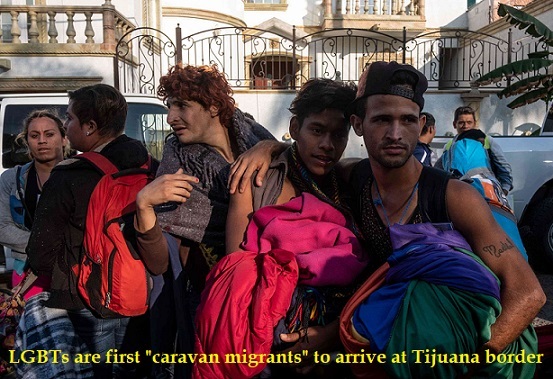 Can anyone give me a reason Mexico didnt stop this caravan before they entered Mexico? Surely our military could have gone down there to assist? 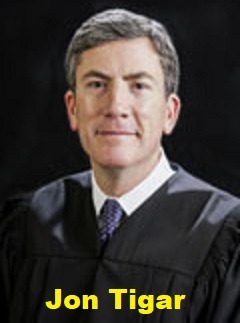 Judge Tigar fails to understand the PRIMARY purpose of a government is to protect its people from foreign invasion. Otherwise, why have a government? Tigar needs to be “disappeared” under the “Indefinite Detention Act” (aka NDAA). And he’s far from the only one that needs disappearing. Sadly, America won’t be able to avoid a civil war, no matter what Trump does. As much as I hate to see martial law enacted, I don’t see any other way to save America, which will never be the same no matter what direction it goes. Is force going to be authorized for real or is this just more Kabuki Theatre? Trump looks very weak and spineless when he says something good like he did about shooting rock throwers, then backtracks and waffles when the libs who hate him start withering criticism. The WH is saying one thing, yet the military on the border is unarmed or doing their classic stunt of having empty guns, from what I read. This is a sick joke. Does that bridge in the picture cross from Mexico to the US? If so, I will have a lot to say about it. Oh for sure. I’d forgotten the word for it and wrote a longer response to Tim than was necessary – lol. Thanks. Here in the US, many of the left are “suffering” from it, especially our student youth who are confused, depressed, and overwhelmed. The leftist activists who violently embrace their servitude could be called suffering from the Jane Fonda Syndrome…? I’ve been screaming that Mexico needs to be a major player in this for years. He gets results. We’ve been saying this here for quite a while. His cabinet is his worst enemy. Looks like he’ll be fixing some of that.